Southern Eyre Peninsula, South Australia – pristine, unique, powerful, awe-inspiring, natural, diverse, abundant. SALT is held on South Australia’s Southern Eyre Peninsula, a region that offers some of the most unique traveller experiences in Australia. The natural and aquatic environment around Southern Eyre Peninsula is some of the most biodiverse and abundant in the world and inspires wonder from visitors and residents alike. 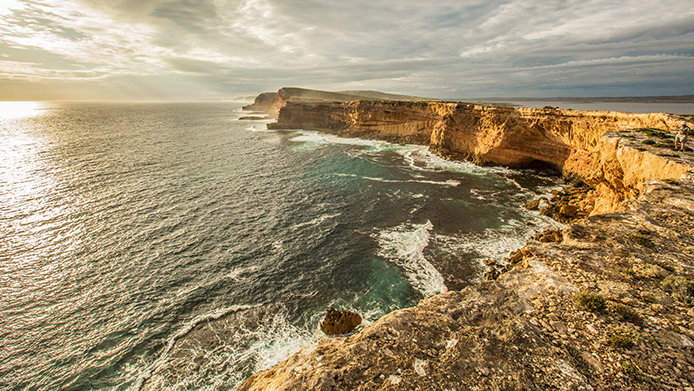 Eyre Peninsula is known as Australia’s seafood frontier. Our region supports a sustainable fishing industry, proud of our Friend of the Sea, International Sustainability Certifications. We are home to the largest fishing fleet in the southern hemisphere and produce some of the world’s highest quality seafood exports, including southern blue fin tuna, kingfish, Coffin Bay oysters, abalone, mussels and rock lobster. 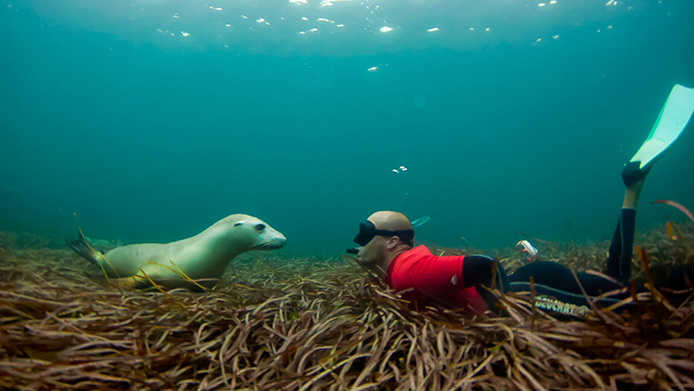 Our region is home to iconic marine wildlife experiences. Take a look at the South Australian visitor guide for more information. Southern Eyre Peninsula boasts some of the most rugged and stunning National Parks, including Port Lincoln and Coffin Bay. Here people can see some of the most spectacular coastal scenery, picture endless white beaches, stunning sand dunes and crystal clear waters. Our native wildlife including kangaroos, emus and koalas co-exist with us in their natural habitat. Home of the Barngarla Aboriginal people for 40,000 years, the region was settled by Europeans in 1839, after British explorer Matthew Flinders sailed into Boston Bay in 1802. SALT acknowledges and respects the traditional custodians and their deep feelings of attachment and relationship to country and that their cultural and heritage beliefs are still as important to the Aboriginal people living today. A magnet for creatives, our region is abundant with opportunity for adventure and relaxed beautiful locations. You can breathe in the clean air and leave the first set of footprints on the beach since the last tide. Our coastline has some of the most incredible surf in the world and became a surf destination by the mid twentieth century, but always check in with locals before paddling out. The region borders the rugged West Coast of South Australia, a high energy coastline that includes the Great Australian Bight, one of the world’s most biodiverse marine environments. If you looking for somewhere to stay during the Festival, you can contact Visit Port Lincoln Accommodation for discounted rates!